The law enforcement and crime control efforts targeting drug use and distribution, which came to be known as the war on drugs, were promoted as an ostensibly "race-neutral" set of policies, aimed at curtailing drug use. Despite research demonstrating high rates of drug use among affluent, suburban and white youths and higher rates of substance use among white than nonwhite populations, enforcement practices largely targeted communities of colors. Discriminatory enforcement of drug laws resulted in extraordinarily high and disproportionate rates of black and Latino incarceration. In New York State, drug users were punished through the draconian Rockefeller Drug Laws, which were responsible for over 200,000 prison admissions for drug offenses from 1980 to 2007. The Rockefeller Drug Laws have been a significant factor in sending large numbers of black and Latino men to prison. In the past decade, approximately 40 percent of prison admissions have been for drug offenses. Since 2003, nine in 10 of those sent to prison for drug offenses have been people of color.The pattern of selective enforcement of drug laws has had a devastating impact on communities of color who have had to contend with the destabilizing nature of familial incarceration. One solution to reducing the number of people swept into the criminal justice system for drug law violations is to enact various forms of decriminalization of drug use and possession. 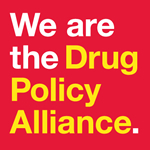 Decriminalization is the removal of criminal penalties for drug law violations. Roughly two dozen countries, and dozens of U.S. cities and states, have taken steps toward decriminalization. By decriminalizing possession and investing in treatment and harm reduction services, we can reduce the harms of drug misuse while improving public safety and health. Once incarcerated in New York State’s prisons, opioid-dependent incarcerated individuals are forced to undergo abrupt opioid withdrawal.Despite the efficacy of MAT in the community setting, the successes of the few programs which allow in-prison MAT, and the policy recommendations made by several global health organizations, New York State correctional facilities have yet to adopt MAT as a standard treatment modality.